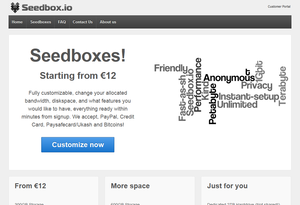 5 months ago, SeedBox.io, joined the seedbox market in order to provide us with some great services. Today they are going to present to us four of their packages. The company might be new and reviews might be nowhere to be found yet but according to their support they are a part of FTW Inc which was launched in 2010 and is based in Seychelles. I haven’t personally tested their seedboxes but the support team was fast and sounded like real professionals who actually know what they are selling. Anyway enough with my mumbling (I already started on the first offer! meh..), let’s see what SeedBox.io can offer us. All packages got an amazing 1Gbps (Down) line, unmetered bandwidth and a dedicated IP (even on the shared plans!). You can have an unlimited amount of active torrents but according to their FAQ you are not allowed to use public trackers. 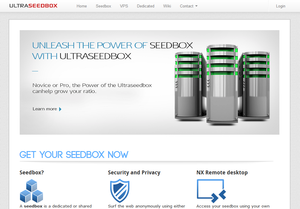 The seedbox is given to you with ruTorrent “fine tuned for optimal performance” like they point out. No unnecessary extras, you get a pure seedbox here.